Melt butter and honey on stovetop over medium-high heat and bring to a boil. Once it is boiling, allow it to boil for about 4 minutes – stirring occasionally. 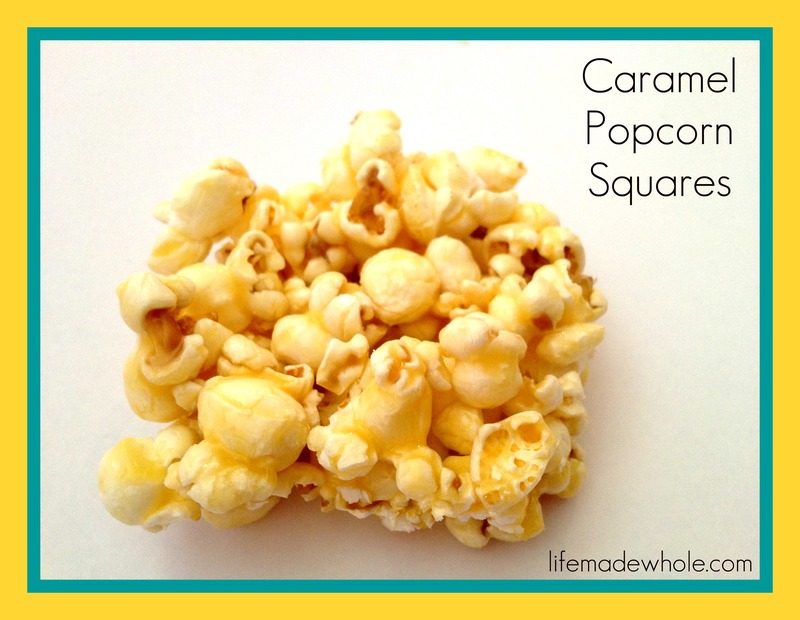 Pour hot caramel mixture over top of popcorn in large bowl and stir to coat well. Pour into 8×8 dish and place a piece of wax paper over top and press down firmly with fingers. Remove wax paper. Drizzle melted chocolate over top if desired. Place in fridge for about 30 minutes or until cool. Cut into squares and serve or wrap individually in wax or parchment paper to send in school lunches!! *be sure to use organic corn to avoid GMO corn.